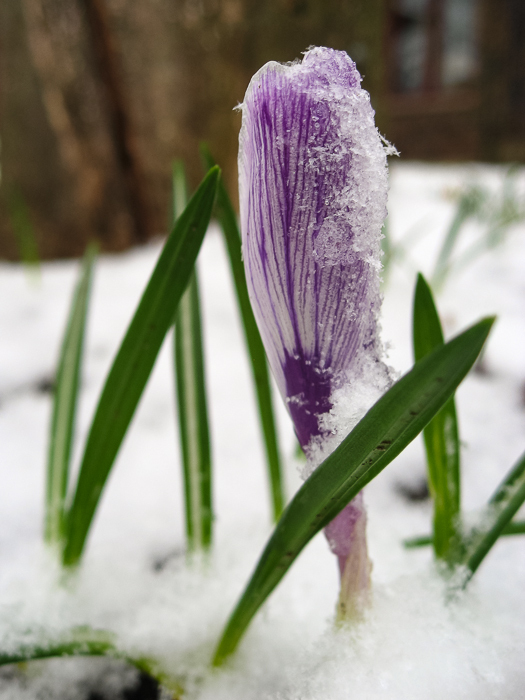 One of our poor crocus flowers under our April 15th snowfall. Posted in Canon SD700 IS, Crystal Lake, Macro. 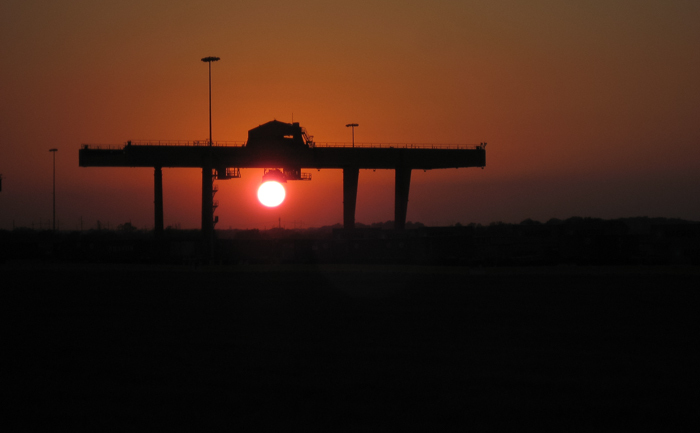 A single container crane appears to be grabbing hold of the sun at sunset in Gardner Kansas at a new BNSF intermodal facility. Posted in Canon SD700 IS, Landscape, Travel/Vacations. 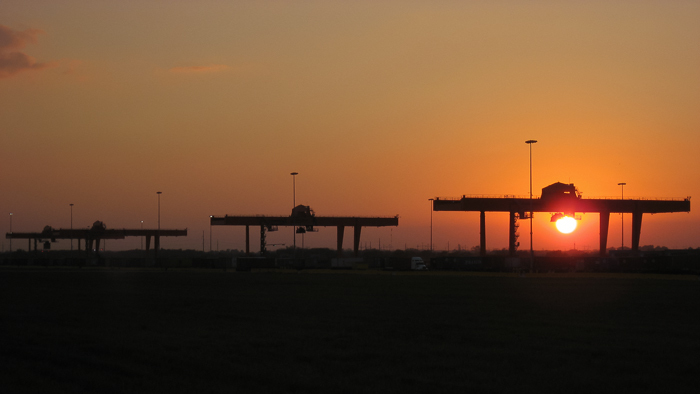 Large container cranes at sunset at the new BNSF intermodal facility in Gardner Kansas. 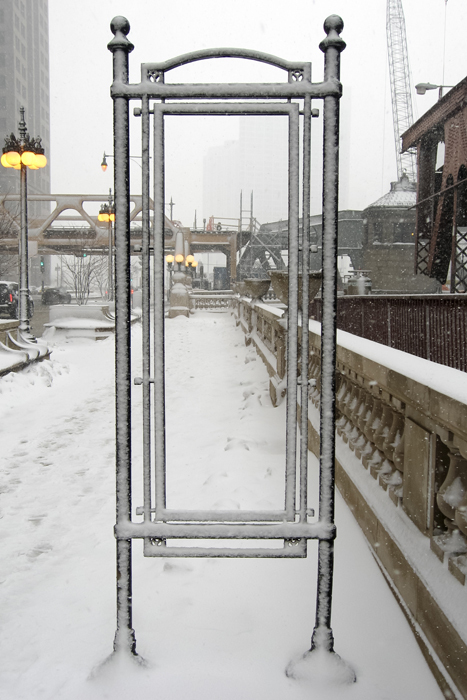 Posted in Canon SD700 IS, Chicago, Loop, Lunchtime Walks. 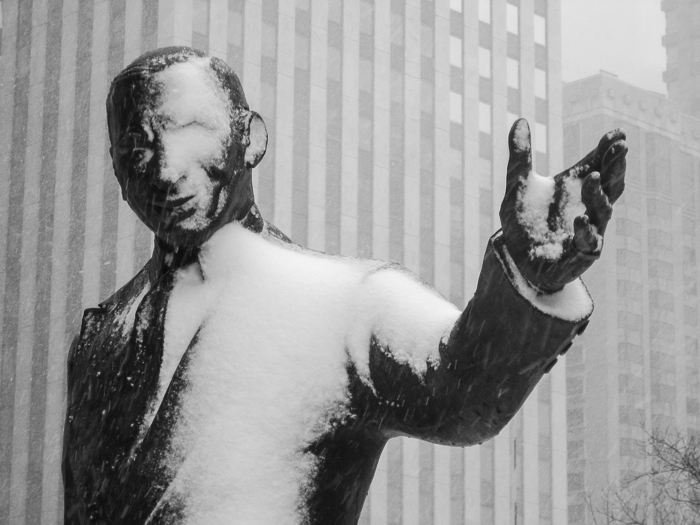 Statue of Irv “Kup” Kupcinet in the March 5th snowstorm. Posted in B&W, Canon SD700 IS, Chicago, Loop, Lunchtime Walks.